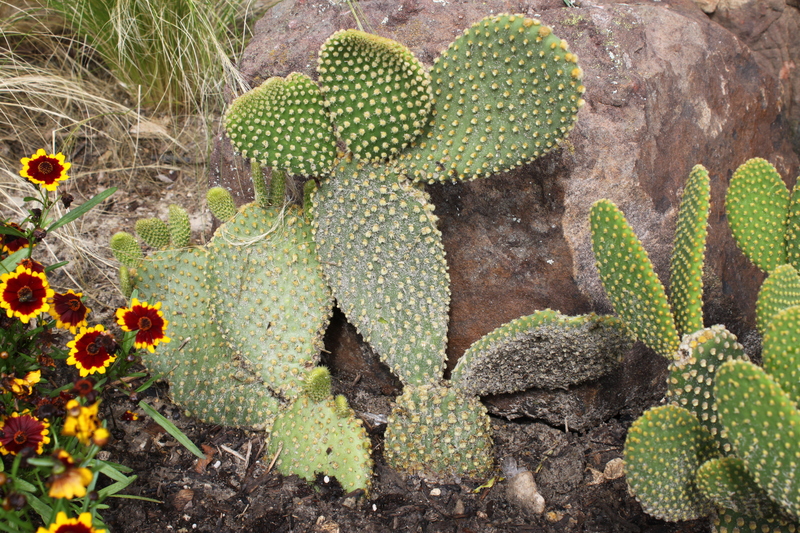 Cactus – or is it cacti? Both sound correct – are pretty easy to grow. Honestly, they just want to be left alone. No water, no fertilizer, nothing. They almost thrive on the neglect. 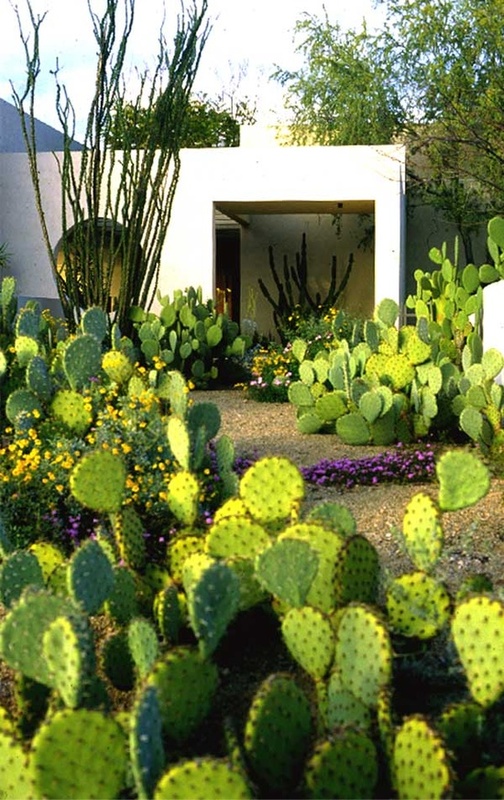 This is the vision we have for our front of the house flower beds someday. 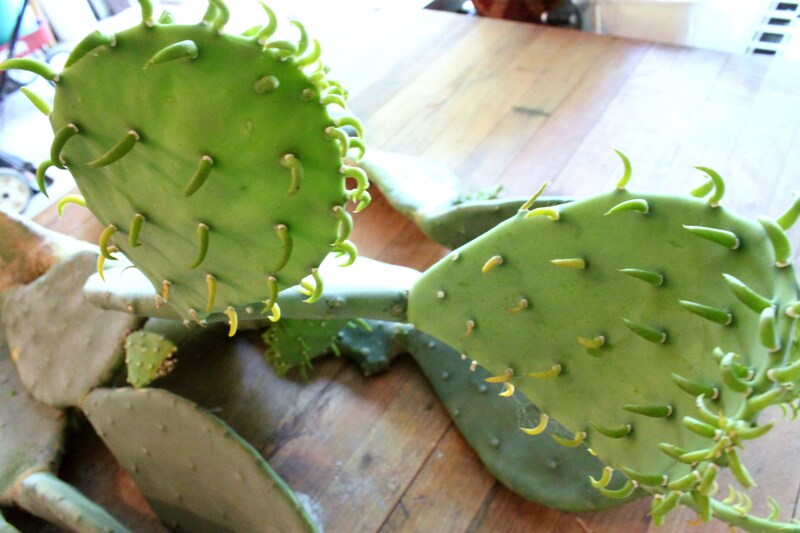 I love how lush and overflowing all the paddle cacti look. Especially when they are mixed in with the flowers, grasses and pea gravel. Apparently this takes time….and of course money. Neither of which we have to spare. But we may have found a cost-effective solution. 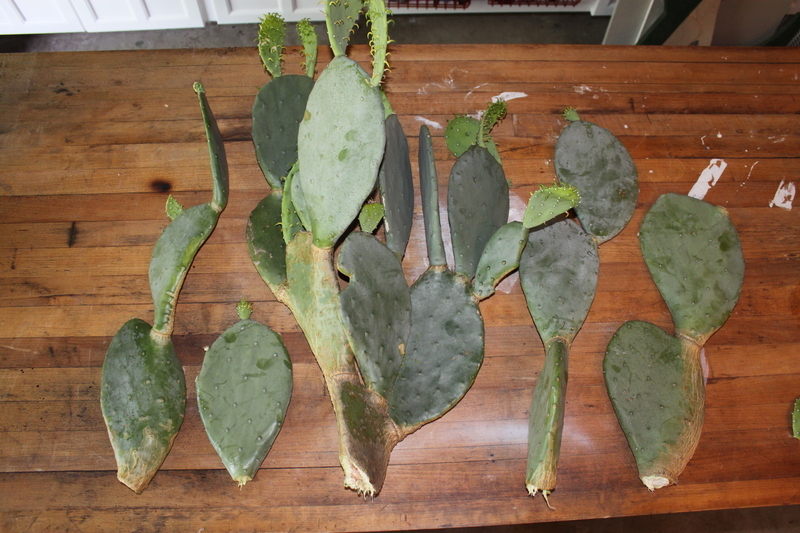 A neighbor of ours hacked down a huge prickly pear from his back yard with a machete recently and left the carcus in a pile in front of his house. 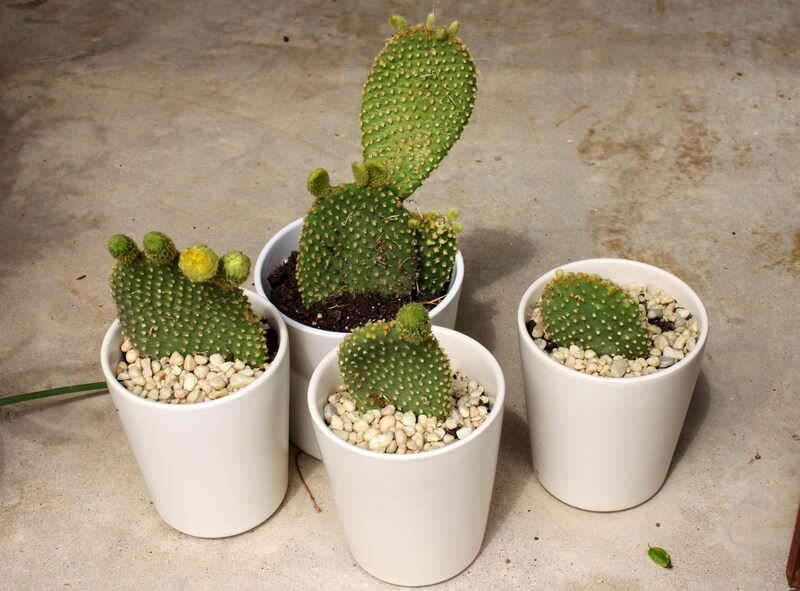 We’ve never tried it before, but it has been said that cacti are very easy to propagate. Here’s the salvageable assortment we dug from the trash heap. They have plenty of new growth already. Even a few yellow flower buds. So, we just stuck them in the flower bed. It was that simple. I tried to make them look bushy by planting the tallest in the back and the shorter pieces toward the front. 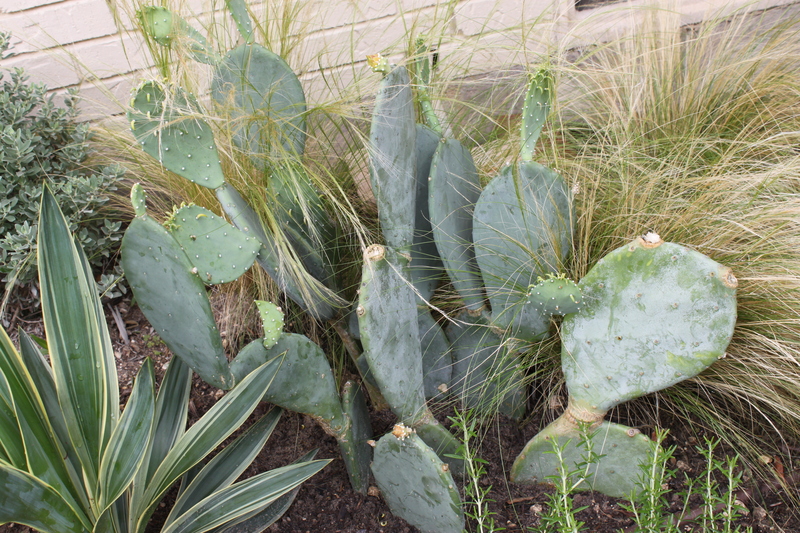 A few weeks ago, while visiting the Peck family’s newest member, I noticed how huge the bunny ear cactus was in front of their house. “Take some of it,” Gert offered. Jamie stuck the littlest pieces in white pots. Look at all the new paddle buds……AND flowers. And I shoved 2 bigger pieces into the ground, propped up on a rock. So far, everything is thriving. Who knew that it was this easy? These things are just growing on the side of the road. We’ll keep y’all posted on the progress.